You often hear people mention wines that are very special to them. 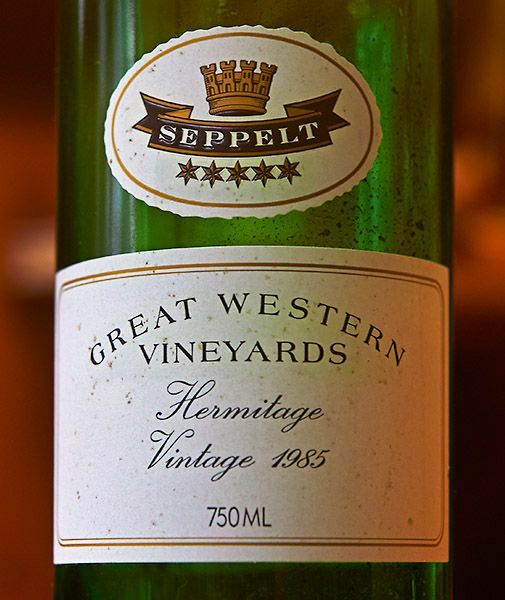 Seppelt’s 1985 Great Western Hermitage. They are often not the greatest wines they have ever had, but special because of who they were with and where they were when they shared them. One such wine for me is the 1985 Seppelts Great Western Hermitage. It was the early 90’s, Anne Marie and I were in Lygon St Melbourne. A while ago we were at dinner with some friends and what should be on the table…. a bottle of the same, still drinking beautifully. As I occasionally do, I asked to keep the bottle. That’s it on the right. I have been a fan of Great Western wines since then, with my limited wine knowledge I find them a little more subtle and and often more elegant than some other regions. 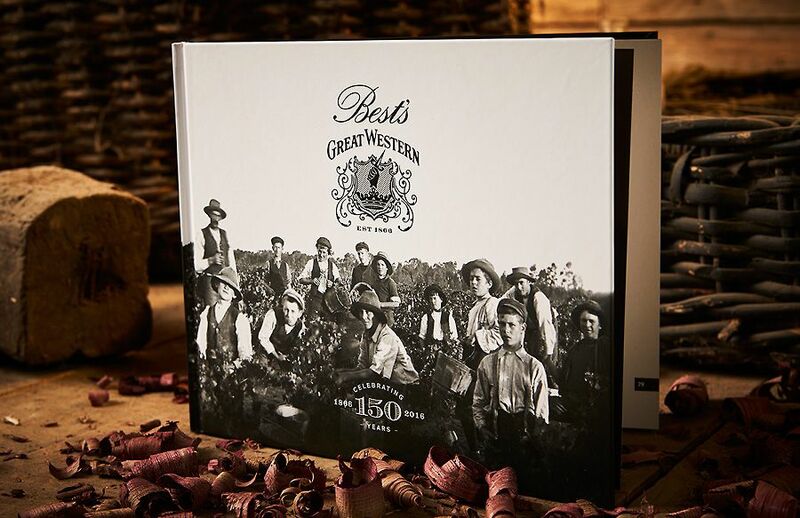 Best’s Great Western celebrates it’s 150th year this year, I have been buying their wines for years. 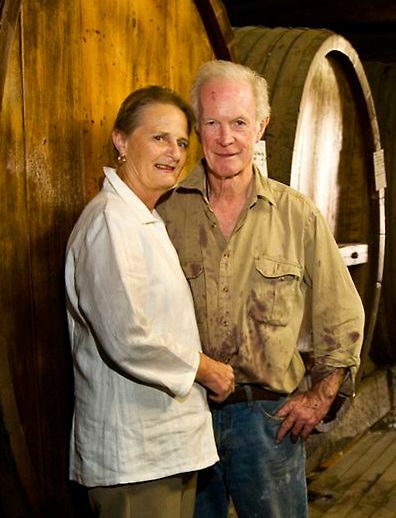 Viv Thomson has been involved with the winery his whole life. Best’s Great Western 150th anniversary book. I met up with him on a recent trip across the border. 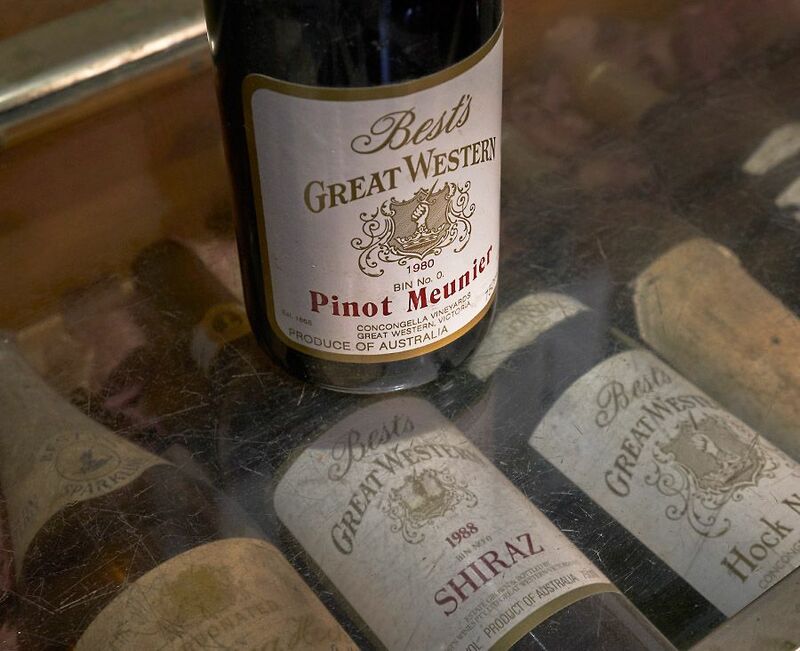 Best’s Wines are celebrating their 150th year this year – can you talk a little about the history and your family’s involvement. The Bests took up land in 1866 and planted their first vines in 1868. That’s where we get to 150 years this year. My family started in the district in an area called Rhymney in the Great Western region, about 15 minutes drive from here. 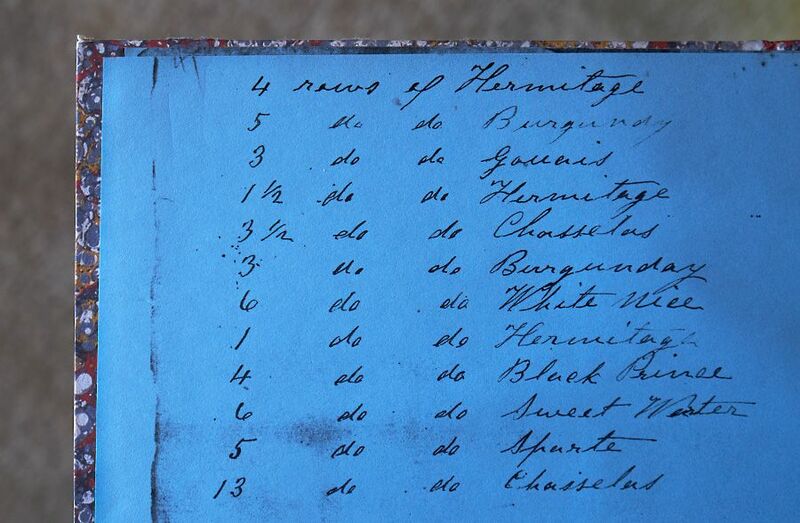 My great grandfather was a baker and he was involved in the great exhibition in Melbourne in 1888. At that exhibition there was a big wine show section at which Best’s and all the local people had entries. I think he got bitten by the wine bug there. It was a pretty affluent time, there was a land boom on, plenty of money running around and he probably thought it was a good idea. He brought the Rhymney property – St Andrew’s vineyard which was a ‘going’ winery in 1893 and he virtually installed his son there. My grandfather became a very passionate wine man. They were fairly successful and had a good reputation but there were some salt and erosion problems with that area. My grandfather was quite a goer, he wasn’t a gambler but he was prepared to take a chance. 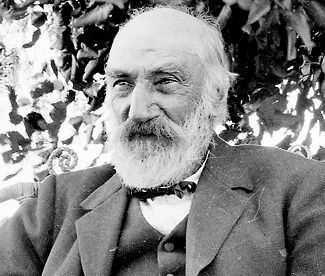 Henry Best had died in 1913 and his son Charles who took over wasn’t really very interested in wine at all. He put the place up for sale and my grandfather thought it was a great opportunity so bought it in 1920. We had Thomson’s St Andrew vineyards over at Rhymney and we had Best’s here, but things changed quite dramatically because the depression started to set in; the longer it went the worse it got. We sold the Rhymney vineyard in 1927 as we felt that Best’s at Great Western was a better property; we never changed the name to Thomson’s because we also thought Best’s was a better brand name. We sold the Rhymney property to enable us to stay here and then in 1930 we went broke here. We were off the place for about 6 months and in that time my father and my grandfather went to Lake Boga near Swan Hill. They took over land there called Misery farm and started again. I have no idea how they bought that place but when they bought it they had to guarantee to take some of the grapes from the soldier settlement areas there. Harvest in the early days. A lot of people there were ex British army and they came from India. They didn’t have a clue about vineyards, it was pretty hopeless but that was part of the deal. We ended up with two wineries again – with Lake Boga up there and this place down here. The Best’s bottling line 1925. Really for the next thirty years things were very tough, it was really hand to mouth. It was only in the 1960s that things improved. This just happened to coincide with when I came home. I don’t think that I can be blamed for the great boom in wine in the 1960s…but I like to think I might have been a bit of a help. Did you ever take on the role as wine maker here ? Yes I did, if you were to ask what date I took over I wouldn’t know – as my father let the reins go – I kind of picked them up….I was the winemaker in the early 70s. Viv in the early 1970’s. 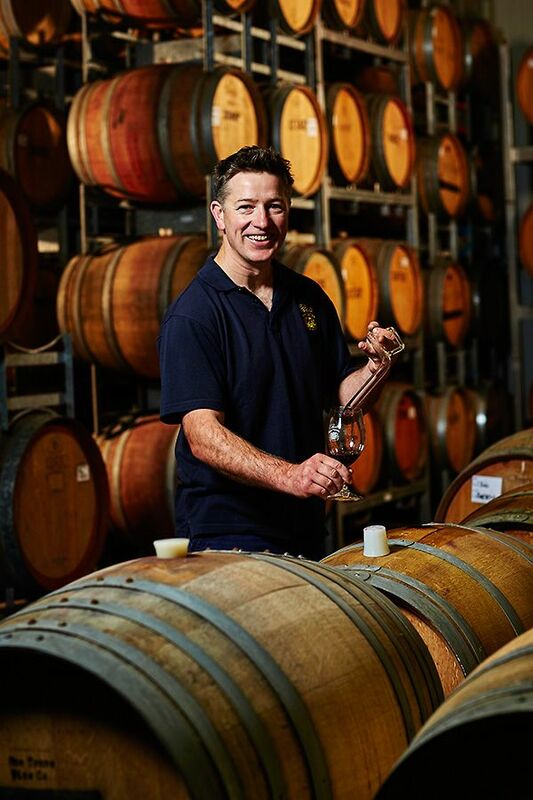 Where it got very hard was managing two wineries and vineyards – one here at Great Western and one at Lake Boga, 230 kilometres apart. As my father and my uncle got older I sort of assumed the mantle of running both – not only running two vineyards and wineries but also the business side of things as well, so the marketing and the selling all came under my portfolio. During this early period, my wife Christine helped a lot; she came in and started doing a lot of our marketing, our label designs and write ups. It was a pretty difficult time. I remember one stage there when I used to plan wine for a year ahead. We used to close at Christmas time because there were no cellar door sales and I used to lock myself out in the cellar there for about a week with absolutely no interruption at all. I’d go through every barrel in the place, check everything, look at everything and virtually plan the 12 month program of what we were going to do. I was very inquisitive when I was younger. When I didn’t know something I would go and see about it. I have always had a lot to do with the wine industry, including wine judging and a lot of travelling. I made a lot of good contacts and friends along the way and I found people were very helpful. Best’s Winemakers,back row, Simon Clayfield, Hamish Seabrook, Michael Unwin, Justin Purser, Adam Wadewitz. Front row, Viv & Chris, and Sandy Mast representing Trevor Mast. I had a lot of help from people like Bryce Rankin from the Australian Wine Research Institute and John Fornachon before him. I know Dad used to work with him as well. Bryce was very helpful. I would ring him up for advice occasionally and send him samples for analysis. Things were very basic in those days, we had no pH meters – I hadn’t even heard of pH. 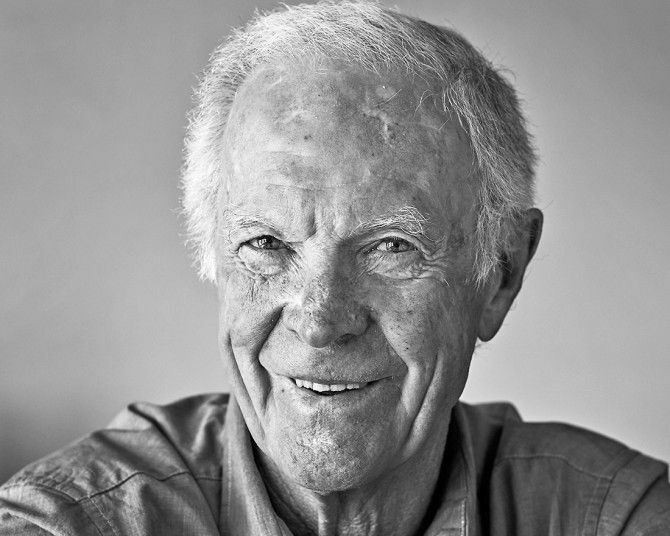 In July 1975 we engaged Trevor Mast; he was the first winemaker we employed. He was the first person here to have any qualifications at all. Trevor was here for 12 years and it was a very exciting time, the industry was going gangbusters. 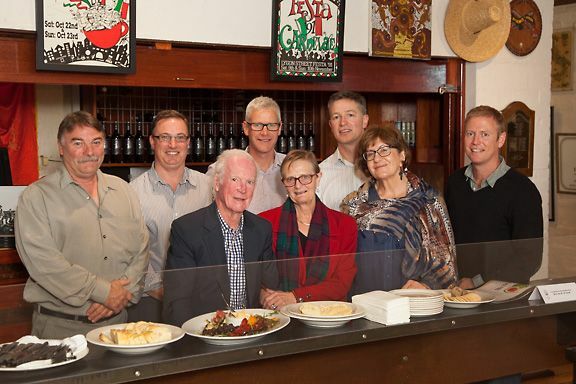 I’ve always thought it must be very hard to run a restaurant unless you can cook yourself… and I’ve had a lot of firsthand knowledge, certainly with the early winemakers they have always been fairly young fellas, and I’ve always had a fair input. 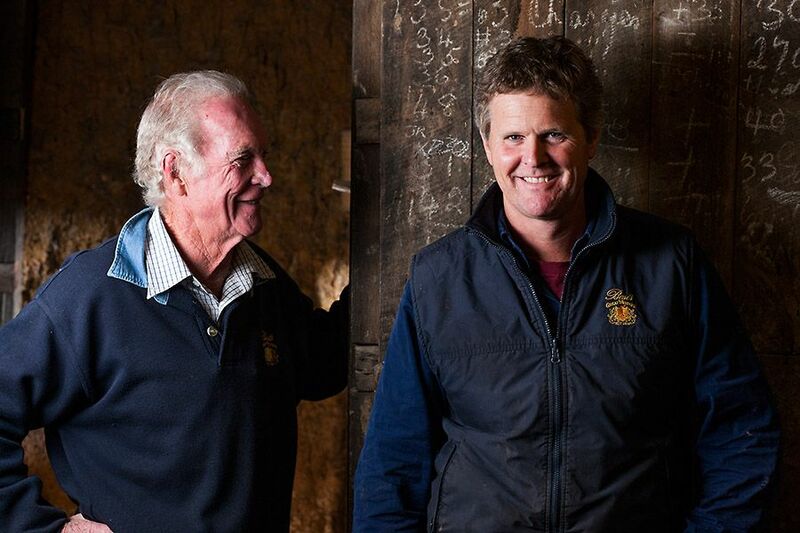 But as I’ve got older and as the wine makers that we’ve employed have had more experience – I’ve had less input….and now with Justin very little input at all. He’s mature, he knows the ropes, and he knows what to do. I have complete faith in what he is doing and he’s making some very good wines. I think we’ve been lucky with all our wine makers. They’ve all been decent people – that’s been the first criteria. I don’t mean that the wine making comes second. They’ve got to have a good palate and know what they are doing but they’ve also got to be good people who you can work well with. Any comments on wine making, viticulture, and global influences on the wine business ? The 1970s was an amazing time of expansion with people planting grapes all over the place and doing a lot of experimentation. I think it was in the 70s that some winemakers actually thought about grape vines. Up until then most of them thought grapes came from the back of trucks. 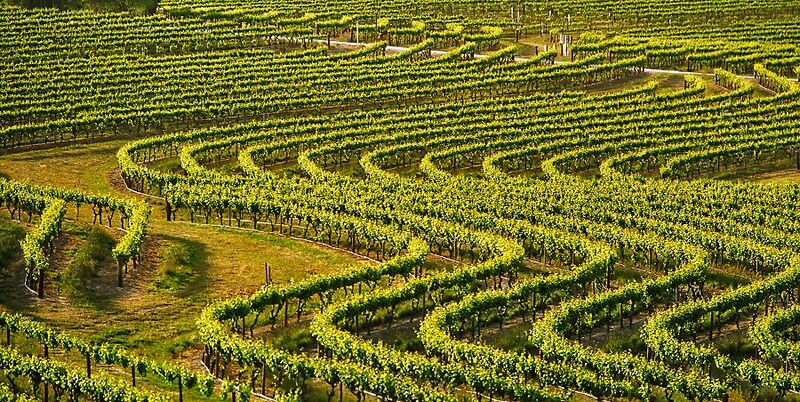 I had been to all of the earlier wine conferences, and they were all about 90% wine and 10% viticulture but I remember a big wine industry conference in the late 70s which was about 50 / 50 and now it has really flipped – all viticulture and not so much wine making. It was interesting to see the viticulture come in; new trellising, new techniques, new ideas. The very early Best’s planting book : Photo © Milton Wordley. It interested me because once we had a winemaker I was freed up to do the vineyard side of things. Viticulture is a fascinating thing. It is difficult and it is expensive but certainly the 60s, 70s and 80s were very exciting times for the industry. We hit a down turn in the 80s. We weren’t doing much export at all and we were getting to saturation point with the market here. Grape prices had dropped, wine was hard to sell – we were selling a lot of bulk wine out of the cellar door in 20 litre containers. Then with Chernobyl the Europeans wanted clean wine; export boomed and a lot of investors got involved. Everybody wanted a share of the grape business and some of the schemes were pretty ludicrous. I looked at a prospectus that my accountant had for a company that were starting planting grapevines. There was nothing there about what they were going to sell the grapes for, it was all about tax deductions. That was all pretty ridiculous. Some of those schemes are still in existence, but thankfully most of them have died or have gone by the wayside. It was the mid-90s when the Winemakers Federation of Australia put out a forecast for the next 30 years. By 2010 we were well ahead on plantings, but we weren’t ahead on infrastructure, we weren’t ahead on marketing and that brought about the current glut and disaster. Then the high Australian dollar really put the crunch on things…it got out of hand, the investors got involved, grape prices were sky high… it was just not sustainable. I came in at the start – I’m still here … I’ve seen three busts and two booms – I’m just waiting for the next boom. Did you ever want to do anything else ? I was very keen on agriculture – particularly stock, sheep and cattle. I went to agricultural college in the 50s and that was right in the middle of the wool boom. That was a very glamorous industry, they were making millions, so I wanted dad to buy me a sheep station. That wasn’t quite on the agenda. 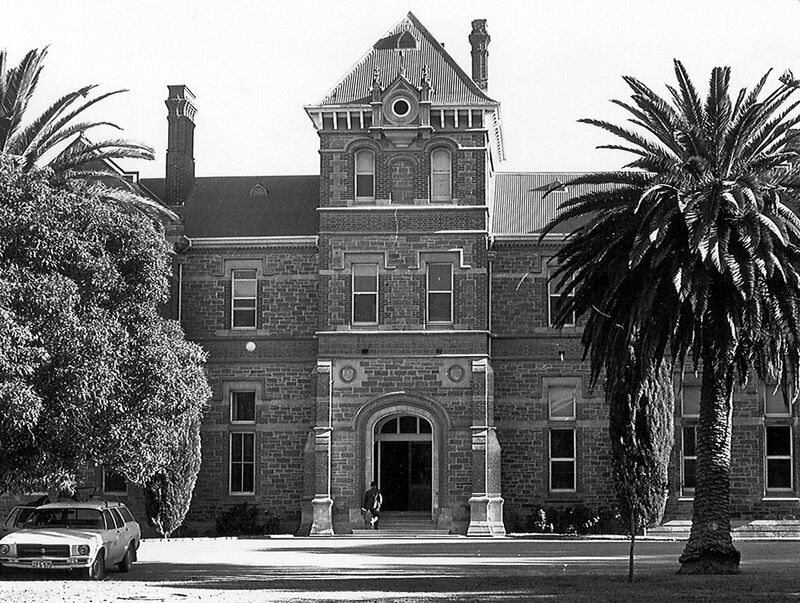 Roseworthy College in the 1970’s : Image supplied by The University of Adelaide. I did agriculture for 3 years at Roseworthy and at the end of that course I did a crash course in winery analysis because I thought that I should do something like that as well. Then I came home and worked for a year here, saved my money and then went overseas for two years. I had a year in East Africa and a year in England and Europe. I went to Kenya because I wanted to go somewhere different …to Asia or South America or Africa, rather than do the normal tourist route. At Roseworthy I had met a number of fellows from Kenya. So I went back with one of them, stayed with his family for a while, picked up a bit of the language and also a few jobs. I was there for almost a year and that was a very exciting time. Then I came home, met she who must be obeyed, Christine, and that was it. 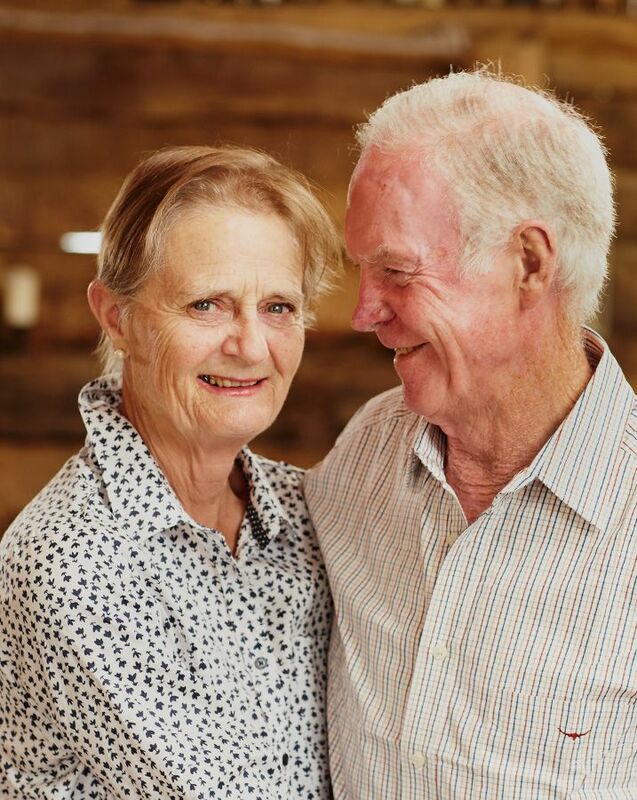 I thought I’d better settle down and get myself a steady job – so she came along at exactly the right time and she’s been incredibly helpful in the business. What’s your involvement now ? Elder statesman I guess, I don’t get too involved in the day to day running of things – my son Ben does that. I have four children and Ben is the only one directly involved in the business. My daughter Yvette has her own family now and she and her husband run a farm, she also nurses part-time. This keeps Yvette pretty busy, however she still gets involved when she can. My youngest son Marcus, the photographer (Marcus helped with many of the images in this interview, thank you Marcus) – he comes home occasionally to help out during vintage, and the other son Hamish is working in Mildura – he also comes home when he can to help out. The only one directly involved at Best’s is Ben, the eldest son, he works about 30 hours a day… unbelievable how hard he works. Ben also runs a contract harvesting business during the vintage periods. When Ben came in as the Managing Director he employed a Sales/Marketing Manager, and a few years ago we acquired a Commercial Manager. They have done an awful lot of publicity, virtually putting Best’s on the map. We were quite well known and respected in the wine industry and with wine buffs, but probably the general public didn’t know much about us. Having those staff allows Ben to step back and look at the big picture. 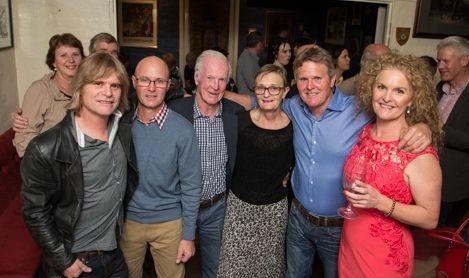 The Thompson family, L-R, Marcus, Hamish, Vic & Chris, Ben and Yvette. We get on reasonably well together but I learnt the lesson from my father; we always got on and though we never agreed, and did things differently, we’d always get to the same place. Ben’s a bit the same, he is very much an action person, if he wants something done he can do it, he’s got a practical nature. He’s doing quite a good job. There are a lot of things he does that I don’t agree with, but that’s natural. It’s a fairly tough period in the industry at the moment but we are still travelling OK. We’ve been here before, you’ve just got to pull your horns in. We are now into the fifth generation… but the family lineage is not something that has ever occured to me. It just happens and I think with small family companies things just do happen. You don’t necessarily plan for things – you don’t have a five year plan or a ten year plan. You look into the future and you think… ‘this is going to work or that is going to work’ , the important thing is to be flexible. Why is Great Western still here…. when there were only two of us, ourselves and Seppelts – why are we still here ? I made the comment in that lecture that it was the style of wines that we made and the tenacity of the people that made them. 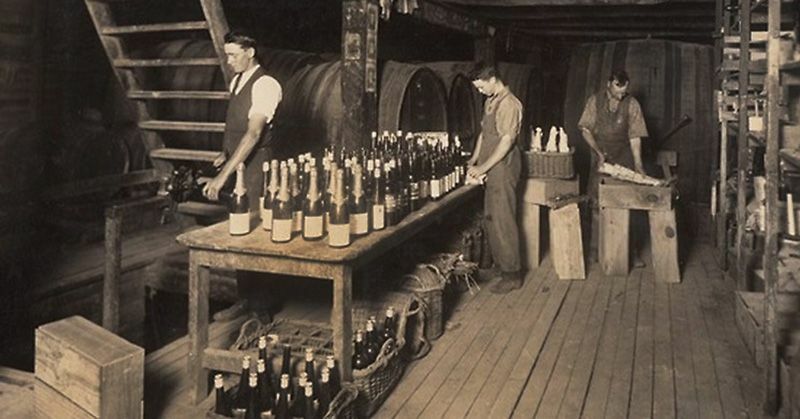 In other words we were making wines that people liked to drink and the people that were making them were pretty tough and resilient to be able to get through that difficult period. The thing is there is no doubt about the capacity for ageing the wines. They are food wines and you can also drink them on their own. 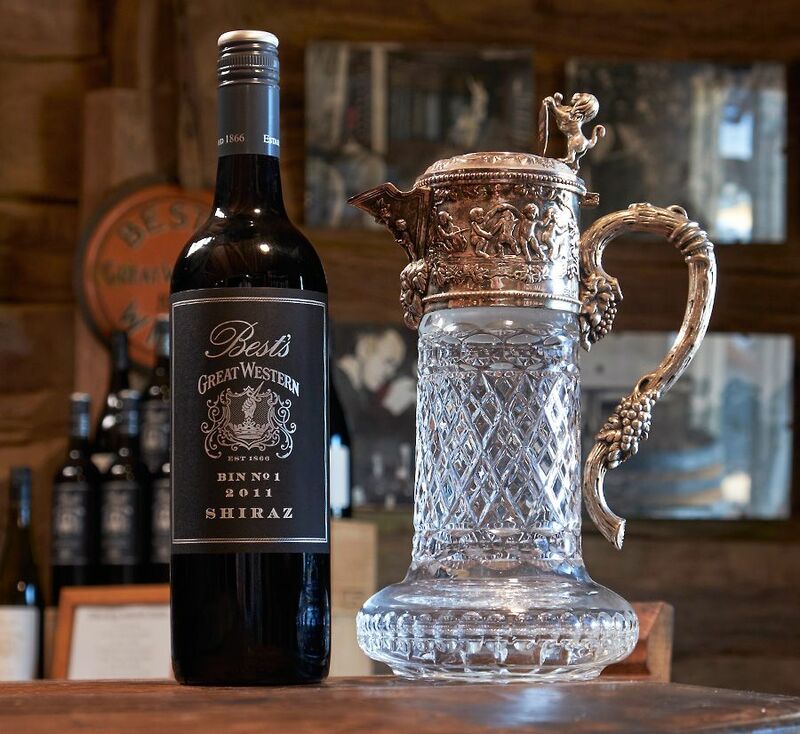 I love a good Barossa red – but I don’t want to drink it every day. I think the wines from here are a bit more elegant and balanced. I like to think they are great wines. The unique part of it up until now has been the ripening period. We get a lot of cool nights during the ripening period even though we’re starting to lose those. There is no doubt the weather is changing. This year was the earliest we’ve ever had and I put it down to a lot of warm nights whereas normally here it’s cooler at night. We had some beautiful weather here about a month ago where we had warm days and cold nights and then we had a burst of really hot days and fairly hot nights and it’s the earliest year that I can remember. 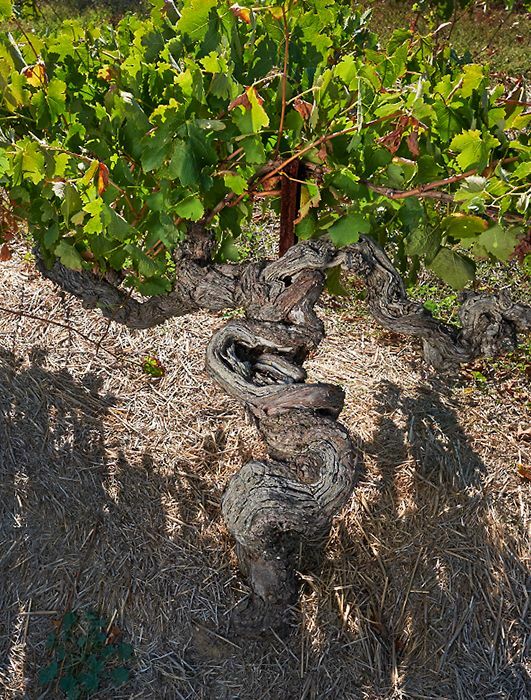 Very old ‘Best’s’ Shiraz vines: Photo © Milton Wordley. We’ve virtually finished and we should be starting now. Years ago it wasn’t uncommon to be picking in May. We’ve got our vineyard in Lake Boga; usually we’d be processing fruit from up there and if we were lucky we would get a week’s grace before starting here. But this year we were harvesting both at exactly the same time. When I worked in Kenya in the 1960s I used to work on the slopes of Mt Kenya and there was a lot of snow – I went back recently and there is still some snow but there’s not much left. Here it got dry in 1997 and up until now we haven’t had an above average year for rainfall. You need those above average years to wet up your sub soils. This is the problem we’ve got here in the vineyard now. We really don’t have much water. We started irrigating about the mid-80s with the idea that we could put water on in dry years, about every 5 or 6 years. That was pretty much the case then, some years we didn’t water at all…now we’ve got to water or the vines would just turn up their toes. A lot of the old vines up till now could still produce a crop without any irrigation at all. 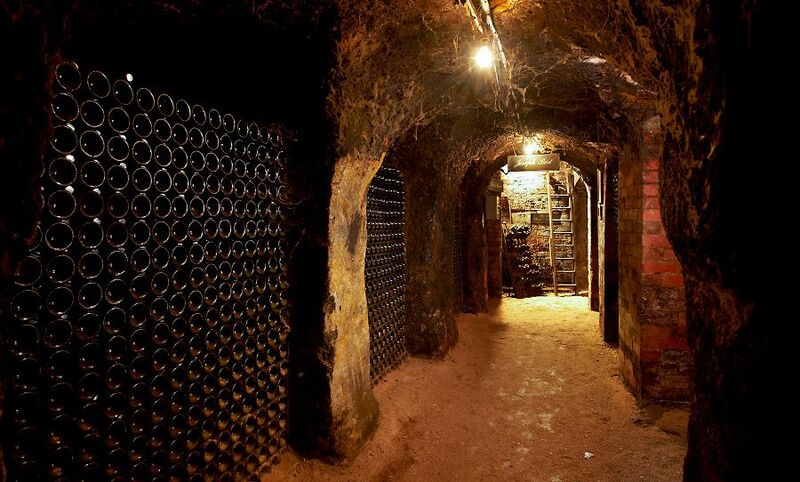 Seppelts Great Western cellars : Photo © Milton Wordley. What do you hope for Seppelts Great Western now it’s on the market ? It’s a big asset to the area, a major tourist attraction but you’ve got to remember in 1960 there were two grape growers, now there’s probably 40 or 50 and a lot of those would sell their grapes to Seppelts. It’s a major employer in the area. 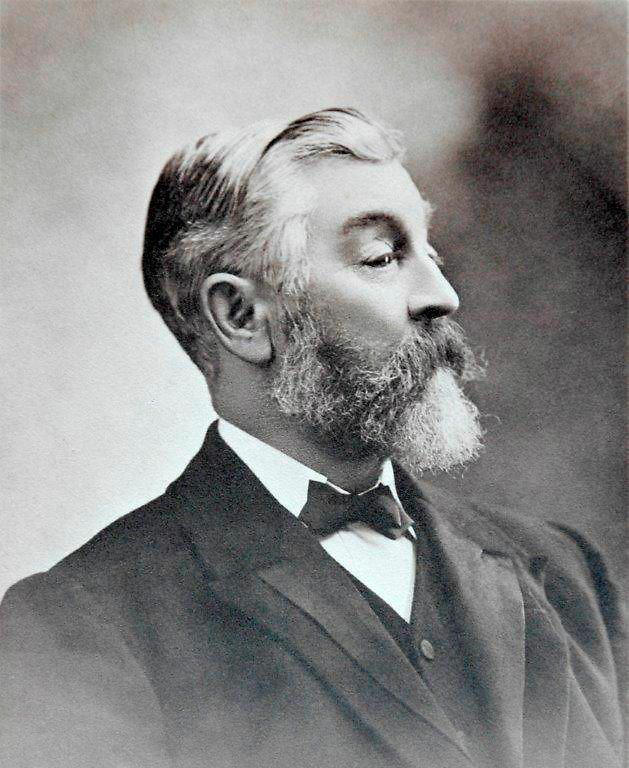 Hans W H Irvine 1887 No 1 Hock : Photo © Milton Wordley. I do wonder about the morality of big companies, all they seem to want is the almighty dollar. They can dump things as they see fit, irrespective of the consequences with little or no thought for the future. We are all thinking short term now, the political process does not allow you to think long term. Our relationship with Seppelts was rocky in the 20s. 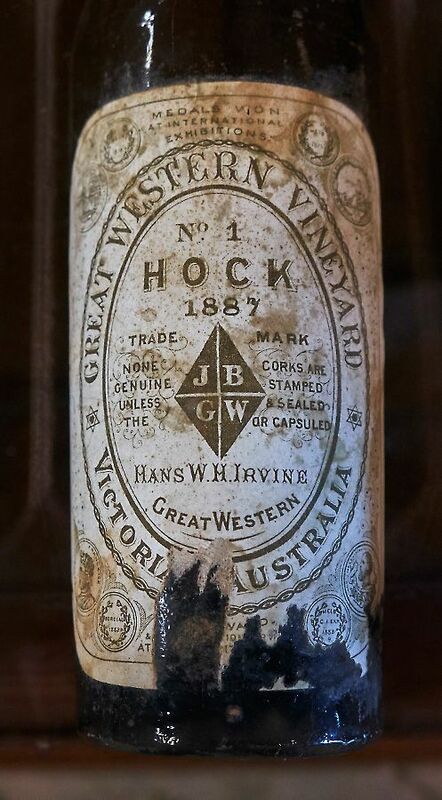 Seppelts tried to register the name Great Western in the early 20s when they had bought out Hans Irvine wines. When they came to the area the first thing that upset the locals was that they didn’t want to buy their wines. Hans Irvine had been buying the surplus wine for distillation, Seppelts came along and they didn’t want it. Then they decided that they would register the name of Great Western for their sole use. The locals headed by my grandfather took them to the supreme court and Seppelts won; then they took them to the high court and we won the case. This was serious stuff, virtually nobody spoke to each other until Colin Preece resigned and they had a new manager. Nick Seppelt came across, he was about my age and we used to go fishing and hunting together so everything changed from then on. Viv’s Grandfather : 1849 -1924. Colin Preece and my father got on quite well really, they were in the local church and they were on local committees but there was never any socialising at all. Seppelts were the big company and Best’s were very much the poor relation. I think my grandfather would be very happy with the present situation, we’re still here and they are not. It’s just such a shame to see a place like that mothballed for the sake of a share price. Pinot Meunier : one of the things that I wanted to talk about was Pinot Meunier…. If you drank wine before the early 60s, you had a problem …a lot of us still have that problem …but if you drank wine then you were considered some sort of a weirdo, or an arty type or an alcoholic. By the middle sixties there were some very good people who were interested in wine. And in the late sixties, we had a very good crop of our pinot meunier, ‘Millers Burgundy’ as it was commonly known in those days. In those days I was as keen as mustard, we had a good crop in 1967 and I said “Lets pick it straight and see what its like”. It was a very hot year – and we were looking at refrigeration. We bought this weird and wonderful refrigeration unit, which we couldn’t get in the door because it was too high… but that’s another story. Best’s 1980 Pinot Meunier : Photo © Milton Wordley. The fermentation was getting very hot so I thought we’d better hook into this refrigeration and it was useless, it didn’t have any effect whatsoever. So we had this red hot Millers Burgundy, but the wine was fantastic. The 1967 Hermitage/Esparte (Shiraz Mataro) and the 1967 Millers Burgundy are still the best that we have in our cellar. On the strength of that I thought we’d better keep making this wine. How do you describe the wine you make from the Pinot Meunier Grape ? Light, easy-drinking, you’d like to drink it by the bucket ……but having said that it also has the ability to live. It’s a very elegant wine and quite stylish. I guess the reason we’ve kept making it is that I like it. I like lighter style wines. In the last few years, since it has stopped raining, the wine is a bit more intense, a bit richer because they are very old vines and starting to get very fragile. This is why I’m sympathetic to wines of this region because even when our shiraz can be big, they are not as big as central Victoria or the Barossa. They’ve got an elegance about them. It’s amazing with the old wines, you put the pinot meunier beside the shiraz and they are both showing equal vinosity and characters; and even though one is lighter, the strength of these wines is amazing. We’ve got some out the back which we call our young pinot meunier, it was planted in 1971 with cuttings from here – the same clones. When we took the cuttings, there was some pinot noir mixed up with them as well. When we went through them, I knew we had another variety in there, but at that stage it hadn’t been identified. We went up to the nursery and the nursery man said, “You’ve got two varieties here.” I said “ Yes I know that” “ Do you want me to keep them separate for you”, he replied. “Yes, please”, I said. Pinot Meunier planted 1868 : Photo © Milton Wordley. When we planted them we got three and a half rows of pinot noir and nine rows of the meunier known at that time as ‘Miller’s Burgundy’. We had a fellow from New Zealand, come through here a few years ago called Danny Schuster – he’s half french and half german and a very good viticulturist. He had a look at the 3 ½ rows of pinot noir and said “You’ve got two clones here – a Swiss clone and a French clone”. We attempted to select out the French clone of the pinot noir from the 3 ½ rows. These were propagated and subsequently planted as part of a large planting of pinot noir in 1987. The wines produced from the old clone of pinot noir is now know as Old Clone Pinot Noir. 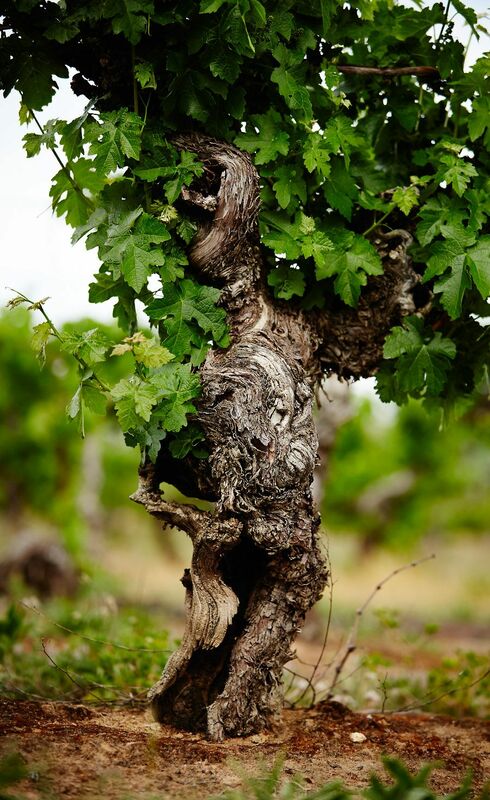 The original pinot noir vines that still exist among the pinot meunier could well be the oldest in the world. It is possible that there could have been some plots in Burgundy that didn’t get phylloxera , or maybe in California or in South America – but pinot noir would not have been a popular variety there. Why did they plant Pinot Noir and Pinot Meunier here ? It could have been because of the sparkling… when you think about that, Trouette and Blanpied were not the first people in the area but they had a vineyard down behind the hotel and they made sparkling wine. I’m certain that they were the first in Victoria to make sparkling wine. They came here following the gold, but when they arrived the gold was starting to run out, so they grew vegetables and fruit trees and vines. 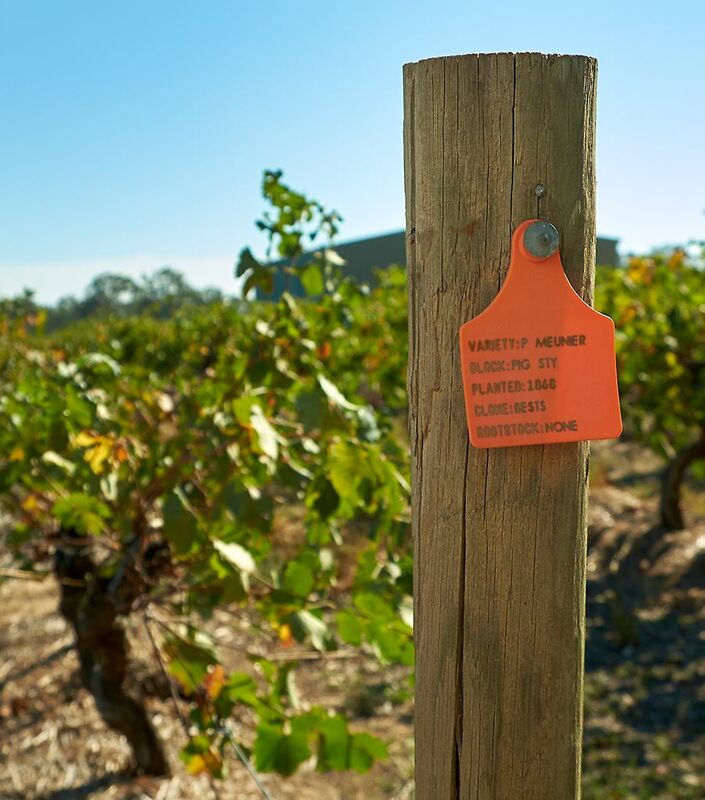 As far as we know some of our planting material came from Trouette and Blampieds vineyard at Great Western, apart from that, we don’t know exactly where they came from. My other thought is that some planting material also came from around the Geelong region. In the 1960s when people first started drinking wine in this country they went for reds, and shiraz was the most popular. 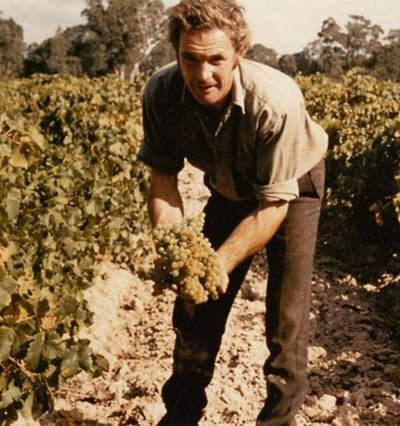 So people planted shiraz like there was no tomorrow and then at the end of the 60s and early 70s a lot of people suddenly realised that we are a hot country and we should smarten up a bit and drink cold white wines rather than warm red wines, so there was a radical shift to riesling. In my time I’ve never seen things change so quickly – you know from shiraz to riesling to chardonnay to sauvignon blanc. Sauvignon blanc has probably had its day (I’d like to think it has) – Pinot is starting to raise its head again fortunately … But just in a little time things like that can change so quickly. The government sticks a tax on wine, the Australian dollar goes up out of sight; we can’t control that, it cruels our export industry. When you look into the future it is a bit hard to know where people are going to go as far as consumption. General planning for your production plan, for your staffing – that’s relatively easy… but to know what people are going to be drinking in 10 years time …. its difficult. These are the sort of things that the general consumer and the journalist, rather than the winemaker is dictating. We might have something to do with styles, but as for what varieties, these are what are dictated by the public and the journalist. 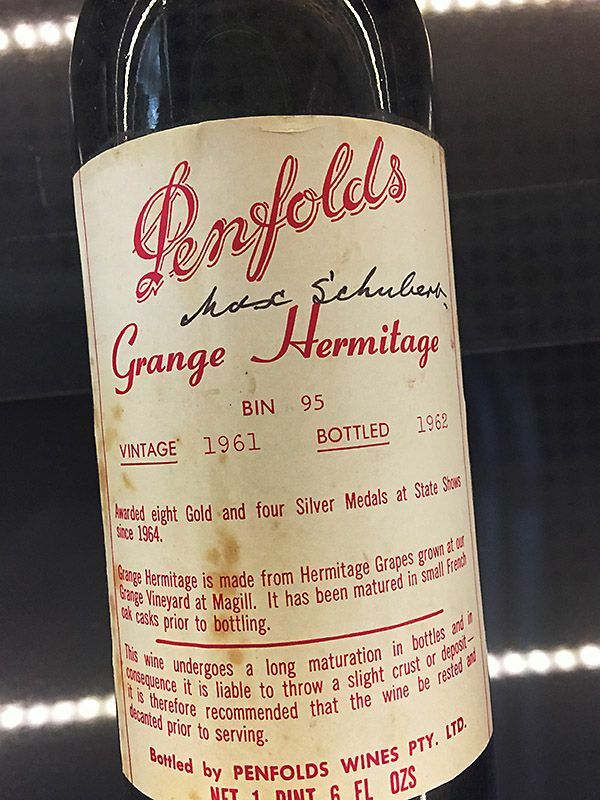 We do need icon wines like ‘Grange’ and ‘Hill of Grace’, on the world stage, they allow the rest of us to come along behind with some pretty good wines. I think shiraz is on a swing. I think we’ve got to be a little bit careful, its gone from the bigger heavier styles to the lighter styles and when it does that of course they go too far then they’ve got to come back again. While I don’t think we’ve gone too far yet, I think that the middle ground in most varieties is always a good place to be. I think that we’ve gone a bit too far with chardonnay- picking it greener and with lower sugar levels. Some of the old chardonnays we pull out now which are 20 to 30 years old, they are pretty good wines. I worry whether the wines we are making today will be as good. It’s one thing to have character and subtlety but I do think that a little bit of grape flavour doesn’t go astray. People say we want to get away from the big buttery chardonnays but we didn’t make them like that here anyway. I remember going to London in the early days when the Lindemans Bin 65 chardonnay was massive. We took our chardonnays there and they said we can’t sell these, they don’t look like Australian chardonnay. So I’d like to see Australian chardonnays coming back to the middle ground. 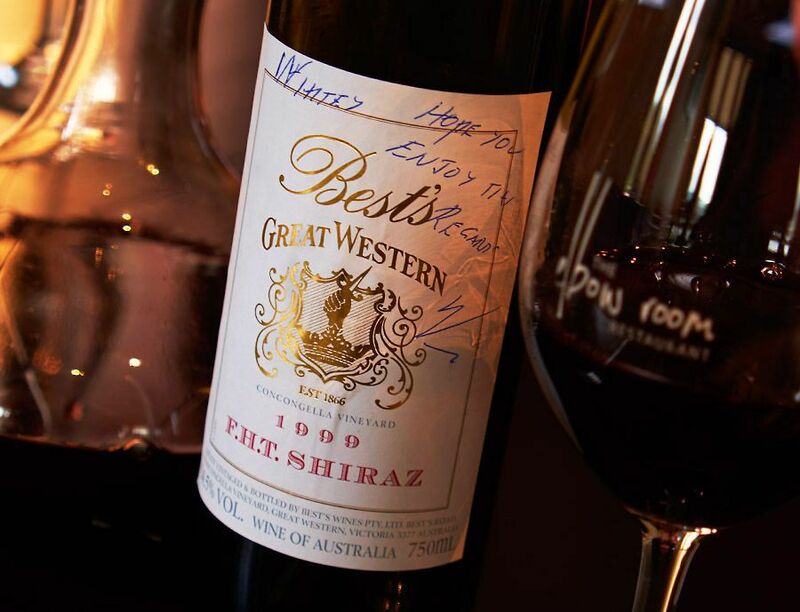 There’s been a lot of memorable wines – one of the memorable wines was our 1999 FHT – it was named with my father’s initials, he had died the previous year. In 1999 we had had a bad year, frost and drought; we virtually chucked all of our shiraz into one barrel and it came up trumps so we bottled it. It was too good for our Bin 0 and not good enough for the Thomson Family, so we bottled it as FHT. Viv sent a bottle of 1999 FHT back with me to share with Philip White. We decanted it at The Elbow Room. His first comment “this is a most beautiful wine “. Whitey’s review is here at Drinkster : Photo © Milton Wordley. There was also our Bin 1 which won the Jimmy Watson in 2012 with our 2011 Bin 1 from fruit around the area. 2011 was one of the worst years I can remember – from a viticulture point of view. We had the wine out in the cellar and we were looking at it and it wasn’t looking too flash. The 2010 was a cracker wine, this was thin and looking a bit ordinary. Anyway I was defending the wine, saying we haven’t got much choice – that’s what we’ve got. I reckoned they had done a good job in the vine yard. We had Adam Wadewitz here up until December 2011, and he made the wine initially. Then Justin blended it and finished it off. It had just been bottled, had a bit of bottle shock and just looked plain and ordinary. Later in the year – my wife and I were doing a lot of travelling round Australia and I chucked a couple of bottles of this ‘Bin 1′ in. I reckon we were half way between Alice Springs and Newman, right out in the middle of the bloody desert. 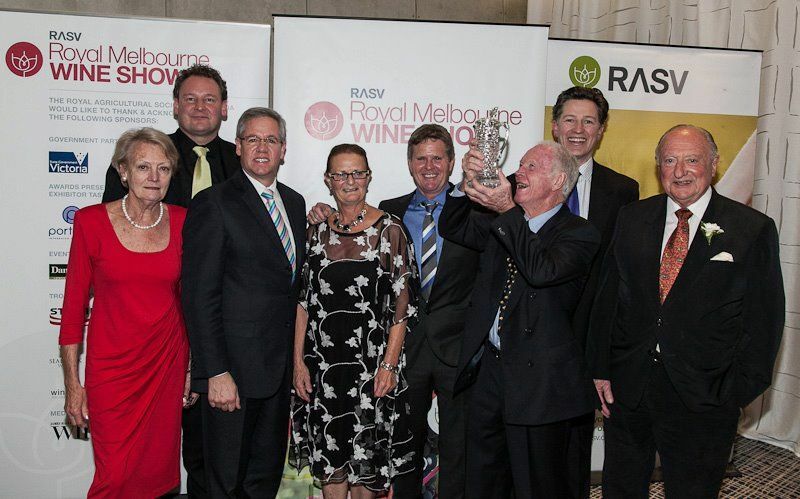 Jimmy Watson award at the 2012 Royal Melbourne Wine Show. We opened one of these bottles and thought, “Jeez this is good, this is fantastic.” I couldn’t believe it, all it needed was a good shake up. It was just fantastic and I couldn’t sleep for the rest of the night thinking …how in the hell are we going to make another one – because I didn’t want another year like 2011. I think it won the Jimmy Watson while we were away. After that initial tasting we weren’t expecting too many miracles, but it is an elegant wine. I think the judges were looking for lighter wine styles and it just hit the pigeon hole at the time…. it had the freshness and the pepper. Had it been judged 10 years ago it wouldn’t have got a look in. And of course, after the win, it flew out the door. Anything else you want to say ? I’ve had a fortunate life; I’ve had a great wife to support me, I came into the industry at the right time and its been going up and up ever since. I’ve got a lot of good friends in the industry and it’s a great business to be in. Certainly in Australia I can go into any winery and be welcome …and I think that I could go into any winery in the world and be welcome. In a lot of those places around the world, they may not talk to their neighbours but they will talk to you, and in Australia we do talk to our neighbours . In the production and the viticulture side of things and even now in marketing, we all talk together. ← Previous Post: John Vickery : Riesling meister.